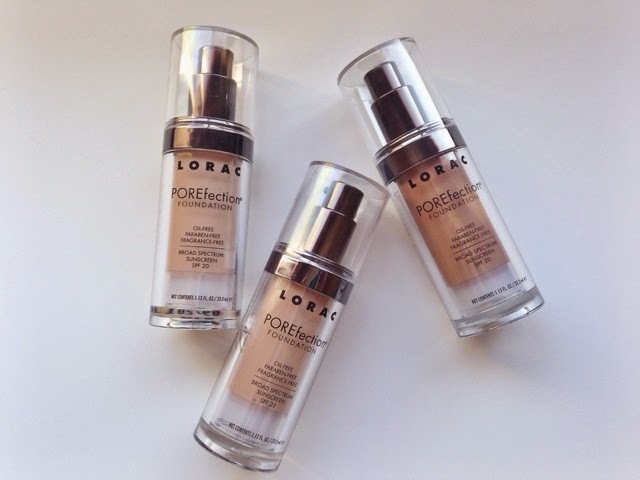 Holy guacamole, this foundation is fantastic. I have oily skin so just with pumping out a few drops of the formula, I was concerned that this would not work for me. The formula seemed a bit runny, so I shook the bottle a bit and it solidified and became less runny. I used the Real Techniques Stipling brush to spread the formula evenly all over my face. 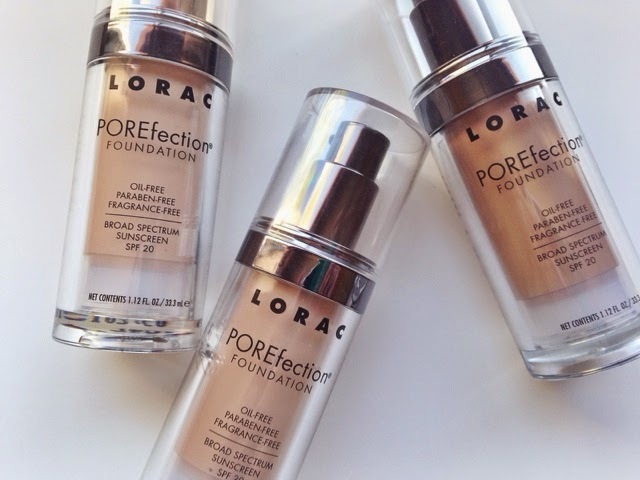 I honestly cannot believe how incredible this foundation is; it looks like skin, spreads easily, and gives a beautiful, healthy glow. Ahhh! As you can see, I had three shades to play with in the hopes I would find a good fit. They have ten shades ranging from one (1 being the lightest) to ten (10 being the darkest). 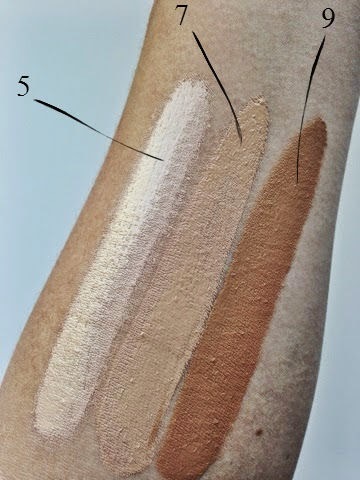 I find myself mixing #5 and #7 on a regular basis because #5 is a bit too light and #7 is a bit too dark. Having said that, #6 would probably be best for me. 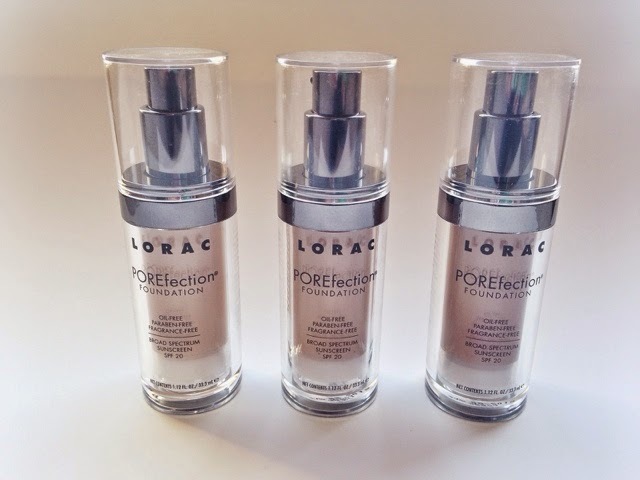 The formula appears creamy, but is easily blendable and very long-lasting. It stuck through my entire day of adventures with my girlfriends; you can see that post here. Which shade suits you best?